Fall is fully upon us, the temperatures are perfect for camp fires, cold weather foods, and delicious treats. Todays recipe is from our friends at EcoTrek Campers. Place one waffle on a greased double thickness of heavy duty foil. Sprinkle with 1/4 cup of chocolate chips and 1/4 cup of marshmallow. 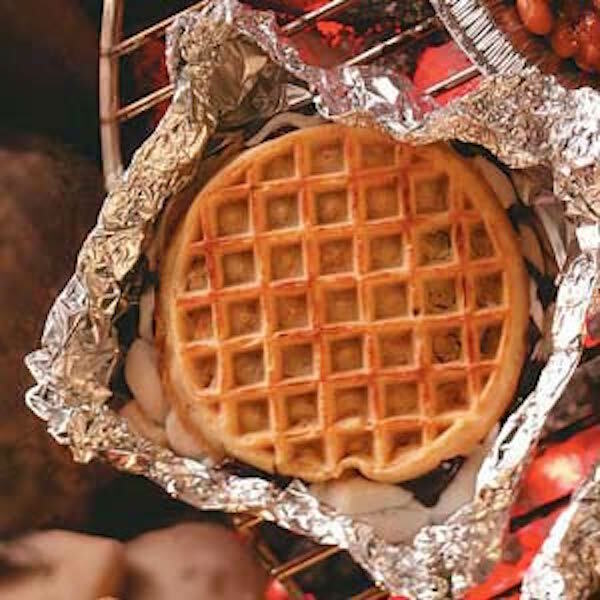 Top with a second frozen waffle and wrap the foil around the entire stack. Repeat until all the waffles are used. Grill 8-10 minutes or until chocolate is melted. Rotate at least once during the cooking process. Open carefully to allow the steam to escape. We hope you enjoy this tasty campfire recipe. Don’t forget to send us your recipes and see if they are featured for everyone to enjoy!